Skeleton day and night mode, 2 Face collection. Skeleton 2 Face. 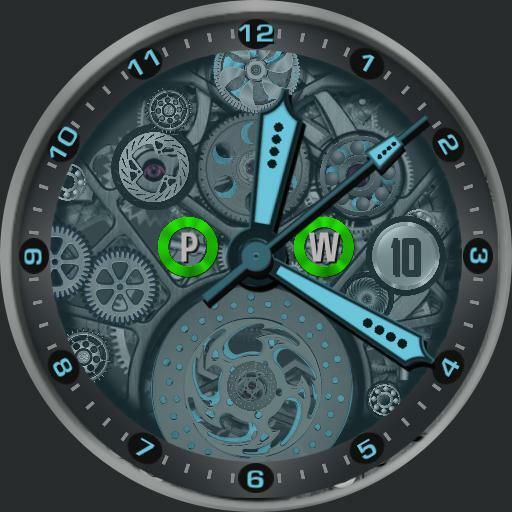 Face 1 Analogue time, day number, power levels for watch and cell, clock animation. Face 2, Night Mode, outer ring date, full day, day number, full month, outer ring, location, low and high temperature levels, local weather condition, digital time, Stopwatch, Steps icon, Step count, Heart icon, Heart rate. Tap actions, mid left next ucolor for background, mid right previous ucolor, centre to swap between day and night mode.